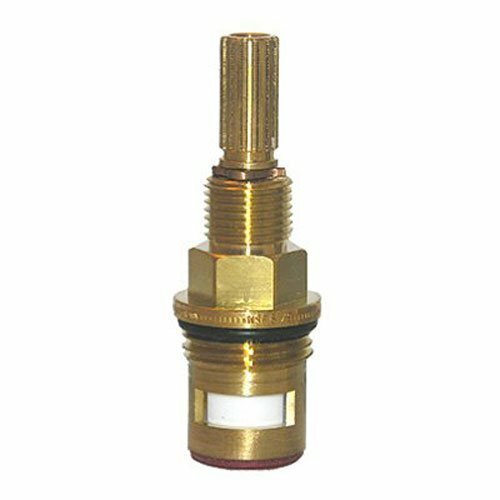 Specifications: Material: Brass, Ceramic Spline Diameter: 7.6mm Teeth on Spline: 20 Teeth Thread size: G1/2 (1/2" 20.5mm) Threaded Collar: With Threaded Collar Size: 51mm x 18mm (Please view the picture for detail dimensions) Package Includes: 1 x Replacement Tap Valves (Clockwise) 1 x Replacement Tap Valves (Anti-clockwise) There is no fixed cartridge suitable for any faucet. You'd better take apart the original cartridge to compare the size, then replace the original cartridge if the same size. Please check the dimensions carefully before ordering to ensure compatibility with your model. 1.make sure it is 20 teeth on spline(top of stem) for handle. 2.compare the diameter size of the thread head to check it is 7.6mm or not. 3. make sure it is with threaded collar or without threaded collar. 4.make sure it is thread size G 1/2" BSP. 5.compare the height of the cartridge. 6.make sure the direction of the opening, it is clockwise or anti-clockwise. How to remove the old cartridge and install the replacement? 1.Lever the lid of the faucet handle with a knife. 2.loosen the screw with a screwdriver . 3.remove the screw. 4.remove the faucet handle. 5.screw off the old cartridge with a wrench. 6.remove the old faucet valve and install the replacement. 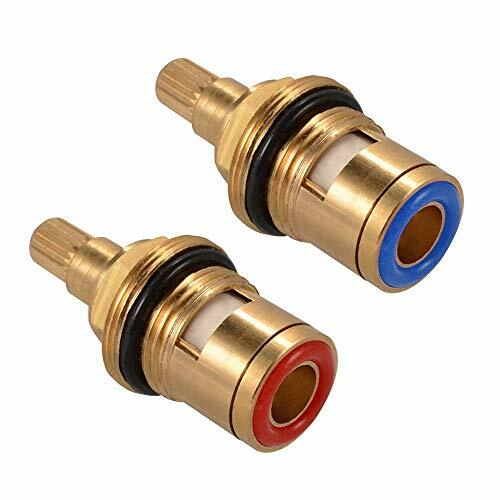 Specifications: Material: Brass, Ceramic Spline Diameter: 7.6mm Teeth on Spline: 20 Teeth Thread size: G1/2 (1/2" 20.5mm) Threaded Collar: With Threaded Collar Size: 51mm x 18mm (Please view the picture for detail dimensions) Package Includes: 1 x Replacement Tap Valves (Clockwise) 1 x Replacement Tap Valves (Anti-clockwise) Notice: 1. Please check the size before you confirm the order and we are always here for you.Thanks for coming to my store and enjoy your shopping! 2. It may have little color difference due to different monitor. Thank you for your understanding. 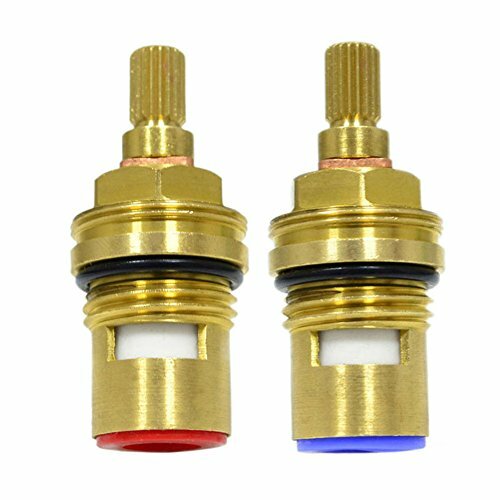 Dimensions: Spline diameter: 7.6mm; Number of teeth on spline: 20; Base diameter: 18mm Q1: Which kind of cartridge is suitable for my faucet? 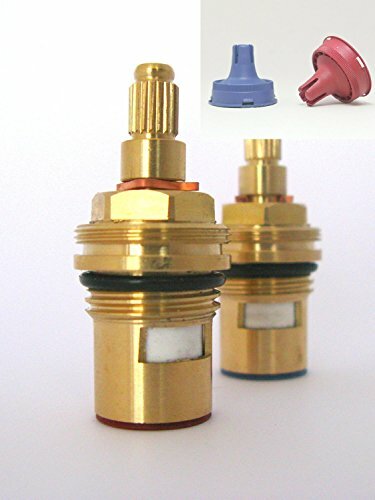 There is no fixed cartridge suitable for any faucet. You'd better take apart the original cartridge to compare the size, then replace the original cartridge if the same size. Q2: How to choose the correct cartridge? Please check the dimensions carefully before ordering to ensure compatibility with your model. a.make sure it is 20 teeth on spline(top of stem) for handle. b.compare the diameter size of the thread head to check it is 7.6mm or not. c. make sure it is with threaded collar or without threaded collar. d.make sure it is thread size G 1/2" BSP. e.compare the height of the cartridge. f.make sure the direction of the opening, it is clockwise or anti-clockwise. 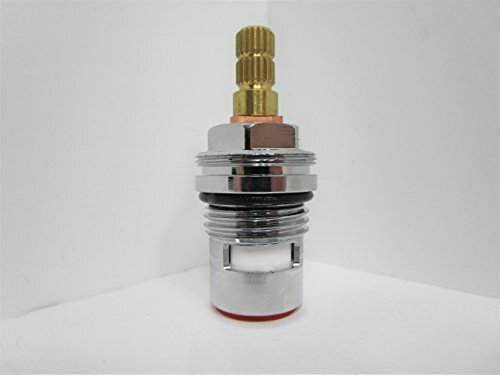 Q3: How to remove the old cartridge and install the replacement? Step 1: Lever the lid of the faucet handle with a knife. Step 2: loosen the screw with a screwdriver . Step 3: remove the screw. Step 4: remove the faucet handle. Step 5: screw off the old cartridge with a wrench. Step 6: remove the old faucet valve and install the replacement. 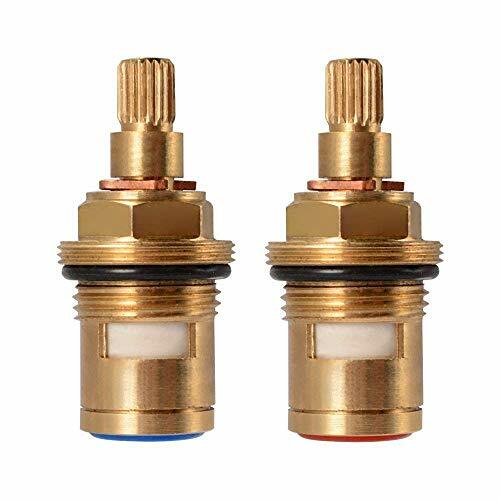 Specifications: Material: Brass, Ceramic Spline Diameter: 7.6mm Teeth on Spline: 20 Teeth Thread size: G1/2 (1/2" 20.5mm) Threaded Collar: With Threaded Collar Size: 51mm x 18mm (Please view the picture for detail dimensions) Package includes: 1 x Replacement Tap Valves (Clockwise) 1 x Replacement Tap Valves (Anti-clockwise) Notice: 1. Please check the size before you confirm the order and we are always here for you. Thanks for coming to my store and enjoy your shopping! 2. It may have little color difference due to different monitor. Thank you for your understanding. 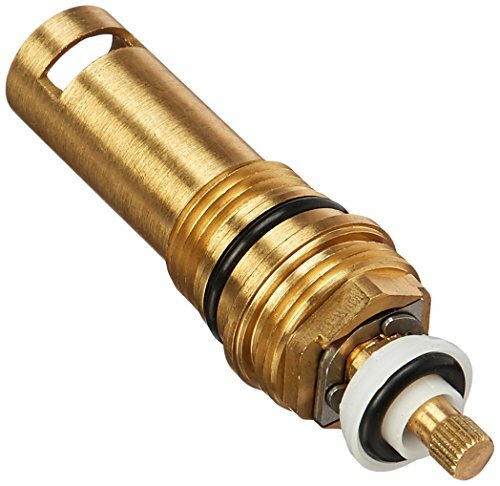 Rohl R9400324 Ac414Lm-Pn Michael Berman Ceramic Hot Cartridge Assembly, 1/2"
The Product is Rohl R9400324 Michael Berman 1/2inch Ceramic Hot Cartridge Assembly. Used for Plumbing Fixtures, Kitchen Faucets and Accessories. Elegant Design and Finish. The Product is manufactured in European Union.